I always perk up when entering Hermanus after the 90 minute drive from Cape Town. I’m curious to see the changes that have happened in this burgeoning town. I’ve been visiting Hermanus since childhood, and have seen a smallish village on the Cape’s Whale Route transform into a busy, thriving community. But, as developed as it’s got, Hermanus still has that wild, rugged coastal magic that has made it such a popular holiday destination. Hermanus is most famous for its whale watching; take a walk on the cliff path to spot some of these giant mammals. The path stretches 10km from the New Harbour to Klein River, so you won’t run out of view in a hurry. We’ve compiled a how-to on what to look for, types of whales and best viewing spots. The nature is truly beautiful in this Overberg town. 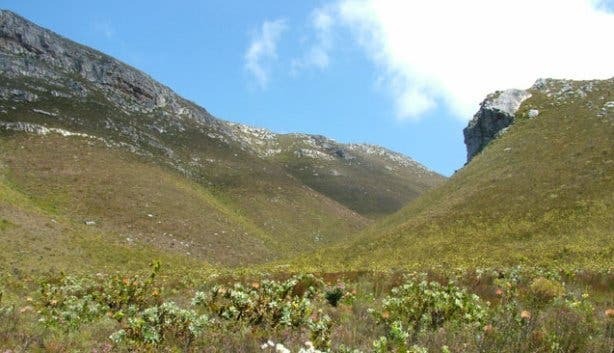 A hike up Fernkloof Nature Reserve is a prerequisite when visiting. There is no other place on earth where so many different species, 1474 last count, grow in such close proximity. Call for more information (+27 (0)28-3130819). The outdoors is where it’s at. 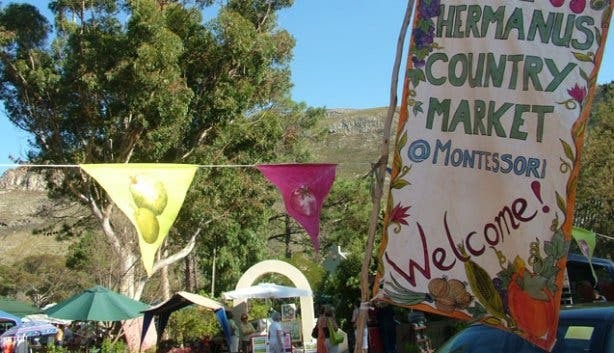 There are plenty of activities from boating to horse-riding, for those who prefer to spend a more relaxing time outside there are a few foodie markets: try the Fernkloof Country Market (Montessori school) and The Hermanuspietersfontein Market (+27 (0)28 316 1875) both happen every Saturday morning. There's an abundance of other things to do in Hermanus, to keep all ages occupied. There’s plenty to eat too. 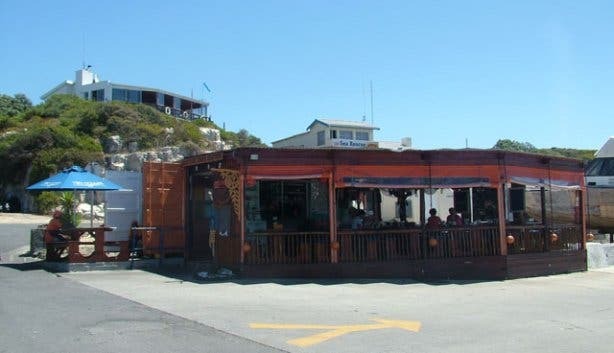 You’re spoilt for choice when it comes to restaurants, but for a truly unique experience book a table at Bientang’s Cave (+27 (0)28 312 3454), this seafood restaurant is carved into a century old cave, which extends over the rocks to the water’s edge. You’re bound to spy a whale while tucking into your calamari. 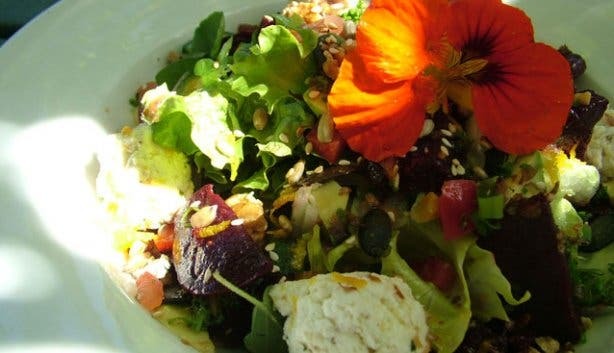 Or, try Mogg’s Country Cookhouse (+ 27 (0)28 312-4321) up in the Hemel en Aarde Valley. Run by Mrs Mogg herself, the restaurant is a cottage on a farm flanked by vegetable and herb gardens as well as a damn filled with ducks. The menu changes according to the produce they source, and is always very, very good. Make sure to book if you want a table, they can’t seat many people. 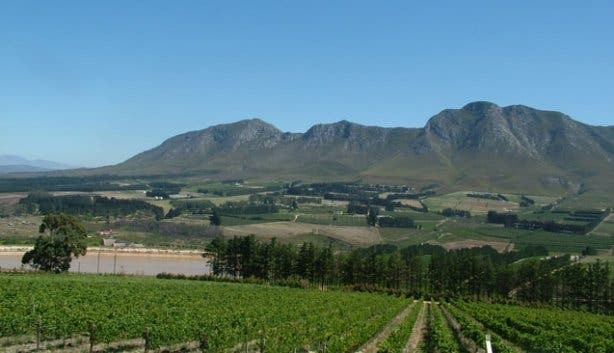 Speaking of the Hemel en Aarde Valley, it’s one of the Cape’s most famous wine routes. Literally translating from Afrikaans to ‘Heaven and Earth’, this valley is gobsmackingly beautiful. A winding road will take you into the mountains with wine estates dotted along the way. Some notable ones to try are; Hamilton Russell Vineyards (their chardonnay is world famous), Bouchard Finlayson’s range is also top drawer—try the Hannibal, a blend of noble Italian varietals, another good place to stop is Newton Johnson, their pinot noir is legendary. Or check out La Vierge’s champagne deck for unsurpassed views. Save time and stop at the Wine Village at the foot of the valley before you taste, not only is it an amazing wine shop, but the staff will be able to help you with your route. Surprisingly there’s plenty of shopping to do to too. Take a walk around the backstreets of town to find antique and bric-à-brac shops galore. Do a good deed while you spend and visit the Hospice Shop (028 313 1884) and the Animal Welfare Charity (028 312 1800) for second-hand clothes and household items. And what a trip to Hermanus be without visiting one of its famous beaches? Each beach has its own special something, from that awesome surf spot to tidal pools for the kiddies. Hermanus is definitely one beautiful getaway with plenty to keep everyone in the family occupied, but it’s the people that make this town truly special; from the whale crier blowing a conch shell in the market square, to the fishermen, winemakers and market people selling their wares. I recently met one such special couple, Cornell and Peter De Villiers, who make artisan chocolate from bean to bar. There’s more adventure waiting for you around the corner, drive 20 minutes to Stanford and eat at Mariana’s ((028) 341 0272). This quintessential country eatery is set in the heart of the dorp. It has a blackboard menu that changes according to produce sourced from the nearby farms. After lunch head to Birkenhead Brewery for a tour and a tasting of local beer. Speaking of, drive just a little bit further to the town of Napier for a real beer experience at Napier Brewery that’ll knock your socks off. Or meet the Great White Sharks in Gansbaai. Tip: Stop for lunch and a wine-tasting at the Paul Cluver Estate on your way to or from Hermanus. Looking for a place to stay? We compiled a few places for you from a camping spot to a five star hotel. 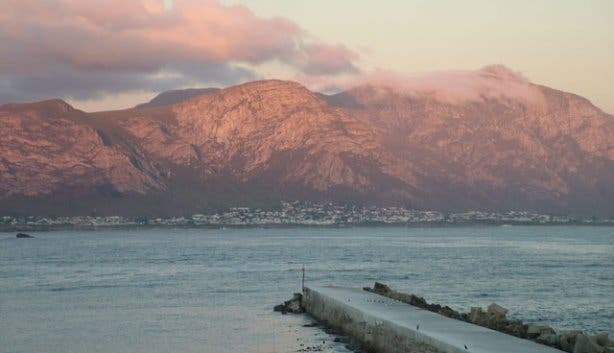 ­Go to our Facebook page to see our Hermanus photo album, and remember to follow us on Twitter and subscribe to our newsletter to stay informed on Cape Town and surrounds. We also said Hello to Stellenbosch!